As reported by MyFoxChicago: Illinois Democrats have introduced two measures that would expand abortion access in the state by removing a parental notification requirement and a ban on late-term abortions. The proposed legislation was filed Wednesday, The Chicago Tribune reported. One bill sponsored by Democratic Rep. Emanuel Welch of Hillside would repeal the state’s parental notice law, which requires minors to notify a legal guardian before having an abortion. 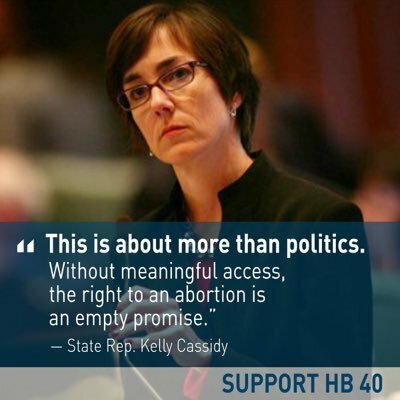 “As a woman, a mother and someone who has been a longtime supporter of full access to reproductive care, from contraception, abortion, pregnancy and postpartum care, it is time to modernize and update these laws to reflect the equality of women in Illinois,” the bill’s sponsor, Democratic state Rep. Kelly Cassidy, of Chicago, said in a news release. “What the new law would do is say we will treat women’s health care – whether it’s for abortion, birth control or maternity care – we’re going to treat that as health care, not as a crime, the way the old enjoined laws did,” Connell said. For years, the New York state legislature has been embroiled in a battle over a package of bills called the Women’s Equality Act (WEA) that supposedly promotes the interests of women. The 10-point WEA is held up in part because the legislature has resisted the 10th point — a late-term abortion measure, AB 6221, which allows abortionists killing the unborn by shooting poison into their little beating hearts. Since 2013, abortion advocates have been holding the Women’s Equality Act hostage to this single AB 6221, refusing to break the 10-point bill up. The legislature resisted passing AB 6221 despite strenuous support from the supposedly Catholic Gov. Andrew Cuomo. On Tuesday, March 24, 2015, in a vote of 94-49 the New York State Assembly approved passage of AB 6221, which will expand third-trimester abortions and allow non-doctors to perform abortions. Third-trimester abortion is also called late-term abortion — the deliberate murder of babies who are 7 to 9 months old, who feel pain, and who are viable if allowed to live outside their mothers’ wombs. New York State law currently allows for late-term abortion, i.e., abortion in the third trimester, only when the mother’s life is in danger. AB 6221, sponsored by Assemblywoman Deborah Glick, will instead allow abortion on-demand throughout all nine months, i.e., up until the 9th month. The law would be changed to allow abortion for any reason deemed “relevant to the well-being of the patient” including physical, emotional, psychological, and familial factors, and the mother’s age. Clearly, for Glick, “animal rights” do not include the rights of the human unborn, even up to 9 months old. For her contact information, click here. H/t LifeNews and FOTM’s CSM. The pro-life group Live Action has released a fourth video in a series of undercover videos catching late-term abortion practitioners and abortion clinics misleading women and showing indifference to the destruction of human life. The videos show embattled abortion practitioner Kermit Gosnell is not an anomaly. The latest investigative video release captures late-term abortionist LeRoy Carhart on tape discussing the grisly details of the abortion procedure and misleading a pregnant woman regarding the dangers of abortion. “It’s like putting meat in a Crock-Pot, OK?” he tells the woman considering an abortion. Both investigators asked if Carhart’s abortions “hurt” the babies. He replied by arbitrarily inventing his own parameters for when a fetus feels pain. “so, after about two to three weeks after birth… I think then they have pretty good knowledge of pain, but before that I’m not so sure that they do.” In fact, there is wide consensus in the scientific community that babies feel acute pain by 20 weeks of gestation. The video exposes Carhart’s shocking claims that “[a]ll the late abortions Carhart has done in Germantown have involved fetuses with abnormalities[. ]” Yet, he was willing to schedule a late-term abortion for our investigator, who was a healthy woman with a healthy pregnancy. This investigation reveals the horrors of the abortion industry and exposes the true victims in this situation: the mother and her child. Our videos expose the gruesome, illegal, and inhuman practices going on inside many of America’s abortion centers. Instead of this being a rare occurrence, we have proven that this is the norm. Please watch our latest video now and expose the truth about the abortion industry. LeRoy Carhart and his abortion industry cohorts must be stopped, and this attack on women and their children must be brought to an end. Women deserve better than this. America deserves better than this. Good news about planet Earth! The evil ozone hole over Antarctica is shrinking to record low dimensions! But did you hear or see it on the MSM? Stephanie Pappas reports for LiveScience, Feb. 12, 2013, that new satellite observations show that the hole in the ozone layer over Antarctica is shrinking. Ozone is a molecule made of three oxygen atoms. It’s relatively highly concentrated in a particular layer of the stratosphere about 12 to 19 miles above Earth’s surface. This ozone layer prevents ultraviolet (UV) light from reaching Earth’s surface, which is a good thing because UV light causes sunburn and skin cancer. Ever since the early 1980s, though, a hole in the ozone layer has developed over Antarctica during September to November, decreasing ozone concentration by as much as 70%. The cause is human-produced chlorofluorocarbons (CFCs), which were once heavily used in aerosols and refrigeration. Antarctica is particularly vulnerable to ozone-depleting substances, because high winds cause a vortex of cold air to circulate over the continent. In the resulting frigid temperatures, CFCs are especially effective at depleting ozone. The result is that people in the Southern Hemisphere are at increased risk of exposure from UV radiation. By international agreement, CFCs have been phased out of use, which has resulted in tangible measurable effects. The latest satellite data indicate that in 2012, the hole in the ozone layer over Antarctica was smaller than it has ever been in the last 10 years. The new observations, announced by the European Space Agency (ESA) on Feb. 8, come from Europe’s Met Op weather satellite, which has an instrument specifically designed to sense ozone concentrations. The findings suggest that the phase-out of CFCs is working, the ESA reports. CFCs persist in the atmosphere for a long time, so it may take until the middle of the century for ozone concentrations to rebound to 1960s levels, the ESA reports. However, the hole in the ozone over Antarctica should completely close in the next few decades. Of course, none of this changes the Global Warming/Climate Change ideologues, because they are a cult masquerading as science. It’s a cult immune to reason and empirical evidence (“Global Cooling For Last 10 Years”; “UN admits the sun may cause global warming”), sustained by fraud (“Employees of Al Gore discover he’s a bullsh*t hypocrite”) and lies (“New Emails Show Global Warming Scientists to be Frauds”), and hell-bent on imposing their will via intimidation (“Professor compares global warming skepticism to racism”), propaganda, coercion and power (“Here’s proof that environmentalists really are Nazis”). Like the POS in the White House. It’s always about “the children.” Yeah, Obama cares so much about “the children” that he favors the killing of unborn children up to the third trimester and even when they survive a botched abortion. “But if Congress won’t act soon to protect future generations, I will (applause) I will direct my Cabinet to come up with executive actions we can take, now and in the future, to reduce pollution, prepare our communities for the consequences of climate change, and speed the transition to more sustainable sources of energy.” Blah, blah, blah. Who needs Congress to make laws when there’s Emperor Obama? Who needs three branches of government? Who needs the Constitution? Obama will rule all by himself with executive orders. Kings used to do that by issuing edicts. As for all those braying hyenas in the media who had whined about Richard Nixon’s “Imperial Presidency,” there is only the sound of crickets…. All gloves come off. I will no longer mince words. “Evil” is the deliberate intentional infliction of harm on an innocent other. Usually, preliminary procedures are performed over a period of two to three days, to gradually dilate the cervix using laminaria tents (sticks of seaweed which absorb fluid and swell) and drugs to induce labor. Once the cervix is sufficiently dilated, the doctor uses an ultrasound and forceps to grasp the baby’s leg and pull one or both legs out of the cervix, which is why the procedure is called “partial birth”. The doctor then makes an incision at the base of the baby’s skull and inserts a blunt dissector (such as a Kelly clamp) into the incision to widen the incision. Then, a suction catheter is inserted into the skull to suction out the baby’s brain, which causes the skull to collapse and allows the fetus to pass more easily through the cervix. The placenta is removed and the uterine wall is vacuum aspirated using a cannula. In 2003, such late-term abortions finally became unlawful in the United States when the Partial-Birth Abortion Ban Act (PBABA) was signed into law. But Barack Hussein Obama (and Michelle, too) not only approves of partial-birth abortion, he three-times voted against the Born Alive Infants Protection Act of 2002 – a federal law, signed by President George W. Bush, which extends legal protection to an infant born alive after a failed attempt at induced abortion. Obama means to overturn both the Partial-Birth Abortion Ban Act and the Born Alive Infants Protection Act. If the latter were overturned, what will happen to babies born alive after a failed abortion? They will be left alone in a room, to slowly die from starvation and neglect…. If you vote for this man today, you are voting for evil. If you vote for this man today, your heart is as icy as his. In all good conscience, how can you vote for this man? Unless, of course, like him, you are bereft of conscience. But like him, you too will have to answer for your black heart before God. Instead of other abortion methods such as suction (“vacuum expiration“) and dilation-curettage, in a partial-birth abortion, the fetus must be “extracted” for a simple reason: The fetus is already so developed that those other methods can no longer be used. Instead, removal of the baby now requires dilating the mother’s cervix in a procedure called “Intact D&X” (Intact Dilation and Extraction). Usually, preliminary procedures are performed over a period of two to three days, to gradually dilate the cervix using laminaria tents (sticks of seaweed which absorb fluid and swell). Sometimes drugs such as pitocin, a synthetic form of oxytocin, are used to induce labor. Once the cervix is sufficiently dilated, the doctor uses an ultrasound and forceps to grasp the baby’s leg. The fetus is turned to a breech position, if necessary, and the doctor pulls one or both legs out of the cervix, which some refer to as ‘partial birth’ of the fetus. The doctor subsequently extracts the rest of the fetus, leaving only the head still inside the uterus. An incision is made at the base of the skull, a blunt dissector (such as a Kelly clamp) is inserted into the incision and opened to widen the opening, and then a suction catheter is inserted into the opening. The brain is suctioned out, which causes the skull to collapse and allows the fetus to pass more easily through the cervix. That is why partial-birth abortion is also called late-term abortion. A late-term abortion refers to an induced abortion procedure that occurs typically after the 20th week of gestation, although the exact point when a pregnancy becomes late-term is not clearly defined. The procedure is usually used in the second trimester, from 15 to 26 weeks, some of which occur before and some of which occur after viability. Since 1995, led by Republicans, the U.S. House of Representatives and Senate tried again and again to ban partial-birth abortions. During the Clinton administration, Congress passed two such measures by wide margins, but Bill Clinton vetoed those bills. In 2003, late-term abortions finally became unlawful in the United States when the Partial-Birth Abortion Ban Act (PBABA) was signed into law. The House passed it on October 2 with a vote of 281-142, the Senate passed it on October 21 with a vote of 64-34, and on November 5, 2003, President George W. Bush signed it into law. (1) A moral, medical, and ethical consensus exists that the practice of performing a partial-birth abortion… is a gruesome and inhumane procedure that is never medically necessary and should be prohibited. (2) Rather than being an abortion procedure that is embraced by the medical community, particularly among physicians who routinely perform other abortion procedures, partial-birth abortion remains a disfavored procedure that is not only unnecessary to preserve the health of the mother, but in fact poses serious risks to the long-term health of women and in some circumstances, their lives. As a result, at least 27 States banned the procedure as did the United States Congress which voted to ban the procedure during the 104th, 105th, and 106th Congresses. Immediately after the passage of PBABA, America’s death cultists began their tireless efforts to overturn the federal law. Beginning in early 2004, the Planned Parenthood Federation of America, the National Abortion Federation, and abortion doctors in Nebraska challenged the ban in federal district courts in California, New York, and Nebraska. All three district courts ruled the ban unconstitutional and their respective federal courts of appeals—the 9th, 2nd and 8th Circuits—affirmed these rulings on appeal. Despite partial-birth abortions being “a gruesome and inhumane procedure that is never medically necessary,” that is EXACTLY what Michelle Obama — the First Lady of the United States of America, who is the mother of two young daughters — is determined to restore. Not only does Barack Obama share Michelle’s determination to overturn the Partial-Birth Abortion Ban Act, Obama does her one “better” — he doesn’t even want babies who survive a “botched” partial-birth abortion to live. When he was a senator in the Illinois State Senate, he voted three times against the Born Alive Infants Protection Act of 2002 — a federal law, signed by President George W. Bush, which extends legal protection to an infant born alive after a failed attempt at induced abortion. What happened to ADOPTION as an alternative? The plain truth is THERE IS NO REASON to kill “born alive” babies who survive a partial-birth abortion. Most Americans favor adoption. U.S. federal government statistics show that as many as 30% of Americans have considered adopting, 60% of whom considered adopting an infant (as opposed to older children from foster care) in the United States (vs. from other countries). Alas, voluntary placement of children for adoption is relatively rare in the United States. About 1.4 million children were born to unmarried women in 2003, comprising 34.6% of total births. Less than 1% of children born to never-married women were placed for adoption from 1989 to 1995; fewer than 14,000 children were voluntarily relinquished in 2003. In other words, there is a great demand in the U.S. to adopt infants but an inadequate supply. Late-term or partial-birth abortions are cruel, gruesome, inhumane, and also risky to the health of the mother. Killing babies who survive a late-term abortion is infanticide. Adoption is the humane and safe alternative. So why are Barack and Michelle Obama, the President and First Lady of the United States of America, so bent on killing instead of adoption? Wanna see Obama’s “bumps in the road”? Back in 2008 when I discovered that, as an Illinois state senator, B(arry) S(oetoro) Obama had three-times voted against the Born Alive Infant Protection Act, I knew then that we’re dealing with a cold-hearted SOB. The Born Alive Act extends legal protection to an infant who survives a failed attempt at a late-term abortion. By voting against the Act, B.S. Obama effectively voted for infanticide. So we really shouldn’t be surprised by the POS’s latest display of his icy pitch-black heart. 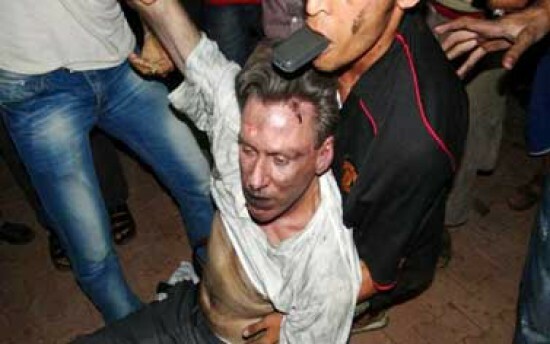 Last night, September 23, 2012, on CBS’s 60 Minutes, correspondent Steve Kroft interviewed the POS. 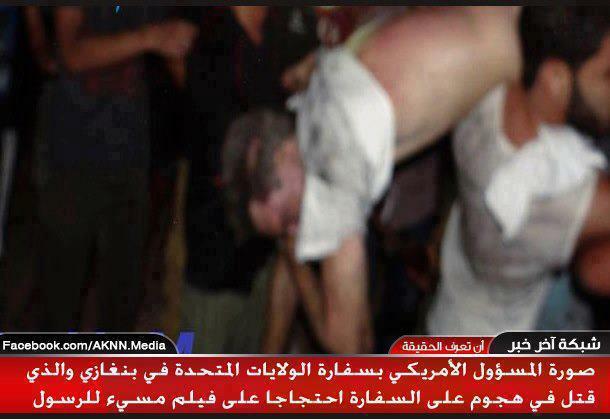 See also “Muslims tortured, killed, dragged U.S. ambassador’s body through streets.” and “2 Navy SEALS killed with Amb. Stevens“. And yet the polls say this POS with an icy pitch-black heart has the approval of 40% to 50% of Americans. I found this video embedded in a staff editorial, “Pray for President Obama; but No Christian Should Be Voting for Him!” on the website, Thy Black Man. The article was written by Donald Thornton, a godly young man who hosts a call-in radio talk show, XSERVATIVESTALK .